Our main office is right next door to Tulane Medical School, on Tulane Avenue in downtown New Orleans. This area is a sort of medical district, where before Katrina the state’s Charity Hospital, LSU’s University Hospital, the Veterans Hospital, and Tulane Hospital all operated within several blocks of each other. 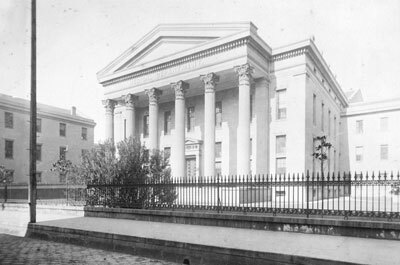 Charity Hospital was already here, in what was then the place where the city met the swamp, when Tulane was founded in 1834 by three young doctors eager to address the public health crisis of Yellow Fever. On the edge of the swamp would be an appropriate place to begin this battle, according to the medical theory of the time. Like Malaria (which comes from the Italian mal’aria, meaning “bad air”) Yellow Fever was thought to be caused by the unhealthy air around swamps, stagnant water, and contaminated areas. This environmental concept of disease had persisted for a long time, going back to the earliest Classical period medical authorities. It was why the wealthy escaped to the country (for the clean air) from the cities to escape the Plague, and in later times Tuberculosis. Later in the 19 Century Sutherland, Pasteur, and Lister would bring forth evidence to support a new disease concept. 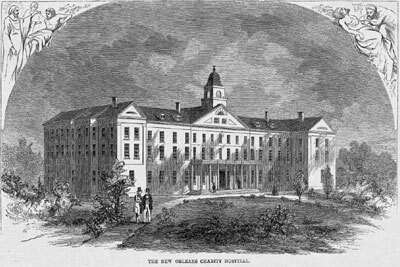 This germ concept of disease, when coupled with the understanding of vectors like mosquitoes and fleas, proved successful in combating Yellow Fever in New Orleans and other cities. It also proved successful in tackling malaria, cholera, and other epidemics. And of course it allowed surgery to became a much more successful procedure when doctors were convinced to wash their hands and sterilize their instruments. The great biological breakthrough of the nineteenth century, the theory of Evolution, had little impact on medicine until that century ended, and the twentieth began. At the turn of the century the work of Mendel was re-discovered, and experiments in labs like T.H. Morgan’s showed how much of the diversity in physiological phenotypes could be explained by genetic differences between individuals. Although the germ theory of disease persisted, as it still does to this day, as a successful framework in which to approach many health problems, the gene theory of disease began to attract adherents. As developments in genetics progressed, and in spite of the disrepute that Eugenics brought to the concept in the thirties and forties, more and more researchers and medical professionals would turn to the gene concept of disease to explain and treat medical and public health problems. T.H. 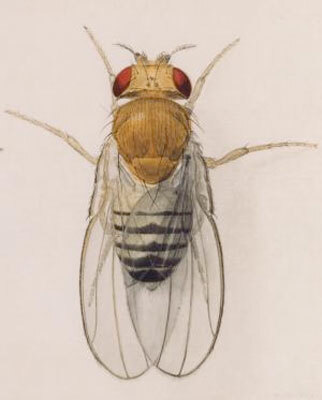 Morgan linked phenotypes to genotypes Watercolor illustration of Drosophila by Edith M. Wallace, Thomas Hunt Morgan’s illustrator. None of these disease concepts are mutually exclusive; they can be used in concert. However, it is the nature of science, for two complementary reasons, that one theory predominates over all others at one time, or in one group of colleagues. This happens as a result of the political and social structure of groups, as it would in any group scientific or not. It also happens as a result of individual psychology. It is most comfortable for an individual to take on a single framework to explain the phenomena he or she encounters, and to rely on that one framework to make sense of the world. To hold two such frameworks in mind and utilize them both is awkward. In the latter part of the twentieth century, the development of electrophoretic analysis, then PCR for rapid DNA sequence analysis, and finally microarray analysis which allows the evaluation of gene expression, have continued to strengthen the gene concept of disease. This can be seen in the frequent search and discovery of genetic markers for diseases, and was the fundamental basis for the very expensive Human Genome Project. And yet concurrent with these same developments were some others, which strengthened an alternate approach to explaining disease. In the early 1960’s it became clear that the drug Thalidomide was causing startling birth defects in the children of mothers who had taken it. In the wake of Cold-War worries about radiation and combined with the highly publicized affects of DDT published a few years later, this updated the formerly outmoded environmental concept of disease. 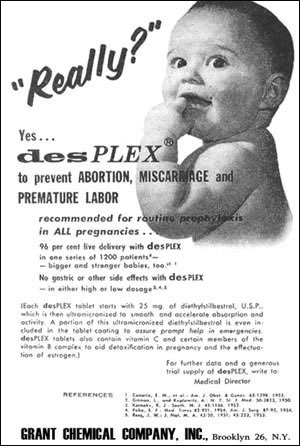 Now more mechanistic and focused on anthropogenic chemicals, this concept gathered strength with the discovery of the effects of diethylstilbestrol (DES). Prescribed for decades to assist pregnant women, it became clear in the 1970’s that the artificial estrogen was causing cancers in the daughters born to mothers taking the chemical. Experiments with mice showed that pre-natal exposure to this potent estrogen led to reproductive diseases later, when natural estrogenic signals became active after puberty. What takes one or two years in mice takes much longer in humans, but recent epidemiological studies have shown that what happened in mice has happened in humans as well. The effects of neonatal DES exposure on male health in humans is less clear, but if mouse studies are as relevant to human males as they are to females, there is great cause for concern. Male mice exposed in utero to DES exhibit a range of reproductive disorders. Very recently this work with DES has been extended in two ways. Mouse studies had shown that the effects of DES exposure were trans-generational--in other words, treatment of the mother affected not just her daughters but her granddaughters as well. This startling finding has been extended to human studies, and is explained by epigenetics. While earlier investigations were looking for how environmental exposures might affect genes by causing mutations, we are now learning how chemicals affect the chemical packaging of DNA, effectively turning genes on or off in ways that may pass through generations. 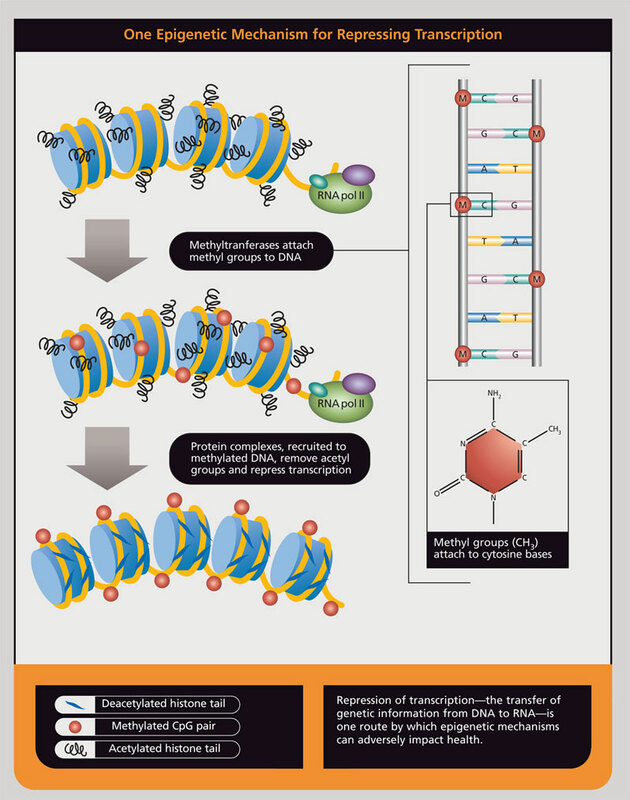 This new perspective is termed epigenetics (i.e. on top of genetics), and has led to the development of new technologies and methodologies. The second extension is the discovery of how other environmental exposures can have epigenetic impacts. For example, studies on mice have shown that prenatal exposure to a common soy phytochemical (genistein) can imprint genes, turning them “off” or “on” in a long-term manner that can influence disease outcomes later in life. Epigenetics also has great theoretical promise for our understanding of disease. 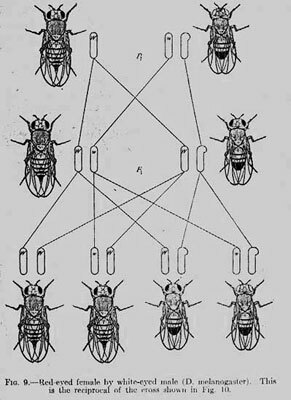 It provides a mechanism to connect the historical theories of disease--environmental, germ, and genetic. Environmental exposure can imprint genes, making susceptibility to microbes, or other diseases more likely.